Applications open today for My US Legal Icon Vlogging Prize. The competition is open to law students, law graduates and junior lawyers, with a free return flight to New York City up for grabs. This year entrants must submit a short vlog not exceeding 60-seconds, explaining who their US legal icon is, and why? Whether you’re a YouTube aficionado or fledgling vlogger, we want to hear from you. All entrants are encouraged to be creative in their submissions. Will it be daytime tele queen Judge Judy? Or perhaps it’s one of the many famous US politicians with a background in law — Abraham Lincoln or Michelle and Barack Obama? Maybe it’s Supreme Court justice Ruth Bader Ginsburg that is more up your street. America’s answer to Lady Hale is a staunch advocate for gender equality, having dedicated a large chunk of her legal career to championing women’s rights. She’s a pop-culture icon, too. The 85-year-old is often referred to as ‘The Notorious R.B.G’, a play on rapper ‘The Notorious B.I.G’s nickname. Whomever you choose must be a real person and related to the law. An independent panel of experts will judge the entries, with the top three to be published on Legal Cheek. The winner of the competition will receive a return transatlantic flight to New York City (subject to competition rules), courtesy of BARBRI. Please upload your entries to your personal YouTube, Instagram or Twitter account, marking that they are submissions for My US Legal Icon Vlogging Prize. Please tag ‘@legalcheek’ in your post (Instagram and Twitter only) and use the hashtag #MyUSLegalIcon to ensure your entry is easily identifiable. Please note that we won’t be able to view your entry unless your profile is public. Alternatively, entrants can email an unlisted YouTube or Google Drive link or an attachment to their vlog to team@legalcheek.com. Please note that you are able to submit your vlog directly to our Google Drive but will require a Google account to do so. Applications are open until midnight on Tuesday 30 April. Good luck! 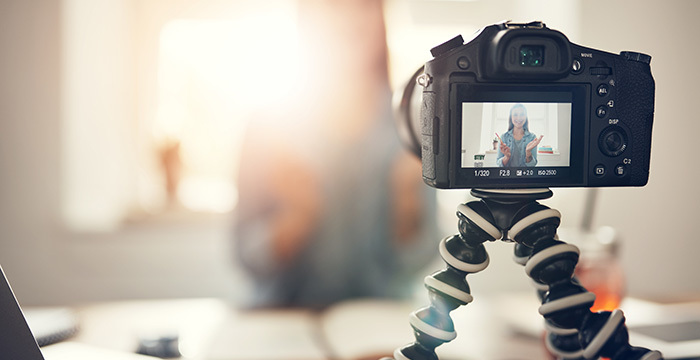 Some students are making decent money out of vlogging, so why are only a handful of wannabe lawyers dabbling in the medium?